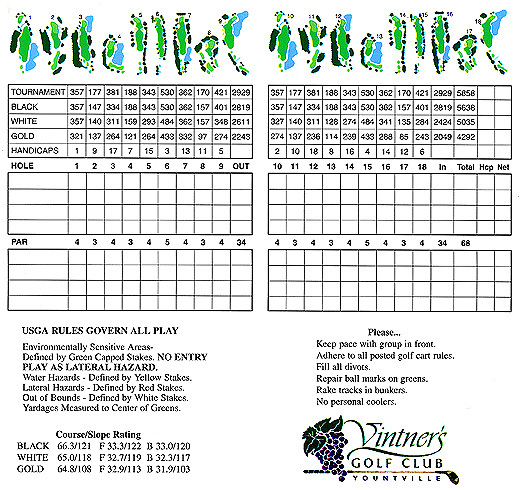 This championship nine-hole resort course, featuring three different sets of tees, was originally designed by Casey O'Callaghan and opened June 1st, 1999. You'll enjoy a two-hour round of golf, and no matter what your handicap there is a set of tees that will fit your needs. Golf course Superintendent, John Krueger, has the golf course in great shape with beautifully manicured greens. Vintner's Golf club is recognized as having the best greens in the area.